The Dodgers on Friday announced the 21 non-roster players who have been invited to spring training (pitchers and catchers report tomorrow). It’s a mix of journeymen-type veterans and top prospects. Sure, those contributions vary in scale (from Muncy’s 5.2 WAR to Neal and Hudson’s -0.1 WAR), but they all appeared at some point during the ’18 season. This year’s group is somewhat interesting, partly because the Dodgers’ offseason hasn’t gone the way most expected. Allie, 28, is a conversion prospect who split time among High-A, AA and AAA last season. He has a big fastball (high-90s), but not much else. He does miss bats (29.4 K%), but his command/control also is severely lacking (16.0 BB%). He’s a guy to watch later in the season, but unless he has made massive strides with his control, he’s likely to start the season in the minors. Broussard, 28, checked in at No. 63 in my Top 100. He has a limited ceiling as a reliever, but he has been in Triple-A the last couple seasons. He has a decent fastball-curveball combination, but it doesn’t seem like he has a clear path to the active roster. Corcino, 28, threw four innings for the Dodgers last season (and he made his MLB debut in 2014 with the Reds), but he was a rotation fixture for the OKC Dodgers when he was signed by the Dodgers in May. He gets strikeouts (24.0 K%) and does a decent job of keeping the walks down (9.0 BB%), so he could find himself on the roster if there are a few injuries/poor performances ahead of him on the depth chart. Gonsolin, 25, is one of the many non-roster top prospects invited. He made a big leap last season and will appear in my Top 10. He has a mid-90s fastball that has touched triple digits, a power curveball and a splitter/changeup combination that misses bats. He hasn’t appeared above Double-A, but a strong spring showing and some injuries in the bullpen could expedite his journey to the majors. May, 21, is — by most accounts — the Dodgers’ top pitching prospect (and is in my Top 10). His stuff took a big step forward in 2018 and has him on the fast track to the majors. Still, he’s a bit young to really have a chance of breaking camp with the team. This invite is for the experience. Next year, we might really be talking about May breaking camp with the team as an NRI — if he isn’t added to the 40-man roster before that. Quackenbush, 30, was once a solid middle reliever for the Padres. But a few seasons of struggling have made him a prototypical NRI. Allan wrote about him back in November and his chances of being more than just a minor-league reliever. Smoker, 30, is the lone lefty pitcher invited to spring training, which gives him a leg up over the other pitchers. He used to be a hard-throwing lefty, but his velo has taken a dip in recent years. Still, he has a pulse and if Tony Cingrani isn’t fully healthy to begin the season and Adam McCreery doesn’t do enough to impress and Smoker does, Smoker could get a look. Therrien, 26, checked in at No. 90 on my Top 100. He signed a 2-year minor-league deal last spring and is coming off Tommy John surgery. Before that, he had debuted with the Phillies and looked like he could be a solid middle reliever. If he can regain his velocity (low-90s) and his slider is still whiff-inducing, he could sneak onto the roster at the end of March. White, 23, was a surprise no-invite last spring. He struggled for a good portion of the 2018 season, but he finished strong. For him to make the active roster out of spring, a lot would have to go his way. Like May, though, this seems like more of a learning experience for White, who is entering a make-or-break season as a prospect. Still, he’s a Top 15 prospect in the org. Smith, 24, would have to hit incredibly well next month to have a legit chance of breaking camp with the team. The Dodgers didn’t do much about losing Yasmani Grandal, so there’s every chance Smith could win a spot. 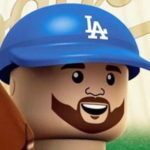 But I think they’re content with an Austin Barnes–Russell Martin tandem — for now. Thole, 32, is just MiLB depth, really. I doubt he leap frogs Barnes, Martin and Gale (should he make it through spring still on the 40-man). Reminds me a bit of Bobby Wilson being in the org a couple years ago. Castro, 26, debuted with the Braves in 2015, but he could never get things going at the MLB level. He’s a versatile defender and with Corey Seager coming back from Tommy John and there being a chance he isn’t ready for Opening Day, there’s a non-zero chance the Dodgers could use Castro as a backup infielder to begin the season. It’s not likely, though. Estevez, 21, is probably the most surprising invitee. After repeating Rancho last season, he seemed to really find his stroke while playing surprisingly good defense up the middle (especially at shortstop). This is probably more for experience, but he took a big step forward in 2018 and could do the same at Tulsa this year. He’s in my Top 15. Lux, 21, was the best position player prospect in the org last season. He made a gigantic leap and has made himself a Top 100 prospect to some folks (and even Top 50 for some). He isn’t likely to stick at shortstop long-term nor is he likely to break camp with the team, but it wouldn’t be at all surprising if he were the favorite to be the team’s starter at second base a year from now. He’ll definitely be in my Top 10. Peter, 26, was a bit of a spring training darling last year, but he ultimately went to Triple-A. There, he didn’t really impress. He had just a .674 OPS in the Pacific Coast League. He has experience at other positions (first base, third base, left field), but he’s mainly a second baseman now. He’d have to tear the cover off the ball to be on the 25-man roster to begin the season. He checked in at No. 71 on my Top 100. Carrera, 32, has the most MLB experience of any invitee (1,305 plate appearances), but he hasn’t done a lot with his time in the majors (.690 OPS). He has some experience in center field, but he seems more like an OKC product than anything else right now. Garlick, 26, was the Dodgers’ 28th-rounder in 2015. He’s had a solid MiLB career to date (.847 OPS) and has experience in the corner outfield spots and first base. But with his right-right profile, he’d have to put up incredible numbers (and power) to have a chance of making the OD roster. Orlando, 33, is a guy you might remember from the 2015 World Series Champion Kansas City Royals (which still sounds weird, but hey, the Dodgers have a longer WS winning drought than the Royals had, so…). He got a full-time gig in ’16 and produced a 1.5 WAR in 484 plate appearances. Since then, though, things have been rough for him. He had a 2 wRC+ (not a typo) and was worth -1.0 WAR last season. Still, he has a good glove and can play center field (10 DRS in 551 2/3 career innings), so if A.J. Pollock gets hurt in spring (which we all know is a possibility), perhaps Orlando sneaks onto the roster. Perkins, 28, posted a .510 OPS for the Phillies in 2017. Not great. Like Garlick, he has experience in the corner outfield spots and first base. Also like Garlick, the right-right profile means he’d have to mash to have a chance of making the OD roster. 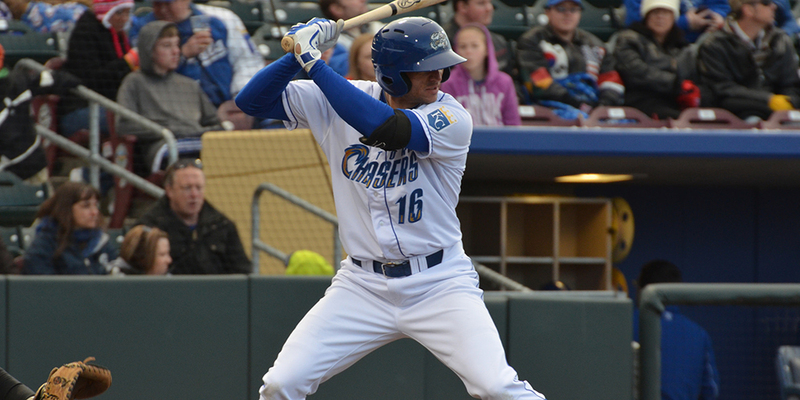 Peters, 23, is the Dodgers top non-Alex Verdugo outfield prospect. He’s coming off a solid campaign for the Drillers (27 home runs, .886 OPS), but he struck out more than 32 percent of the time, so him breaking camp with the team seems highly unlikely. He’s there for some experience. He’ll be in my Top 15. Peterson, 31, has seen parts of three seasons in the majors with three different teams (Oakland, Milwaukee, Tampa Bay). He has just a .677 OPS in 322 plate appearances. He was a 2nd-rounder of the Cardinals in 2008 out of Long Beach State and was one of the two players sent to the A’s in the Matt Holliday deal. He’s been solid in the minors, but he seems more like an OKC product at the this stage of his career. Quackenbush seems like the perfect type of NRI to get a chance. Plus, there are relievers ahead of him who have MiLB options, should they under-perform in spring. Orlando gets a nod here simply because if Seager isn’t ready for Opening Day, I could see Chris Taylor getting some reps at shortstop, which would leave the Dodgers a right-handed bat short on the bench. His ability to play center field works in his favor. Smoker is a lefty who throws relatively hard, so it’s hard to totally discount him. Plus, the other pitchers have their own flaws. I don’t think Smith does enough to break camp with the team, but it wouldn’t surprise me if he’s in the majors sometime after the All-Star break. I’d prefer that not happen only because I want Barnes to have a bounce-back 2019 season, but we’ll see how that works out. Pitchers and catchers report tomorrow. Then, we only have to wait six more weeks until real, actual baseball begins. Yay, I guess.